How do we respond to daunting challenges such as youth unemployment or gender inequality? Clearly, there is no panacea, but there is a growing consensus around the need to build a more inclusive, collaborative and impact-centred economy which supports significant progress towards the Sustainable Development Goals. Such a shift will require the combined efforts of many actors and combined effects of many approaches. 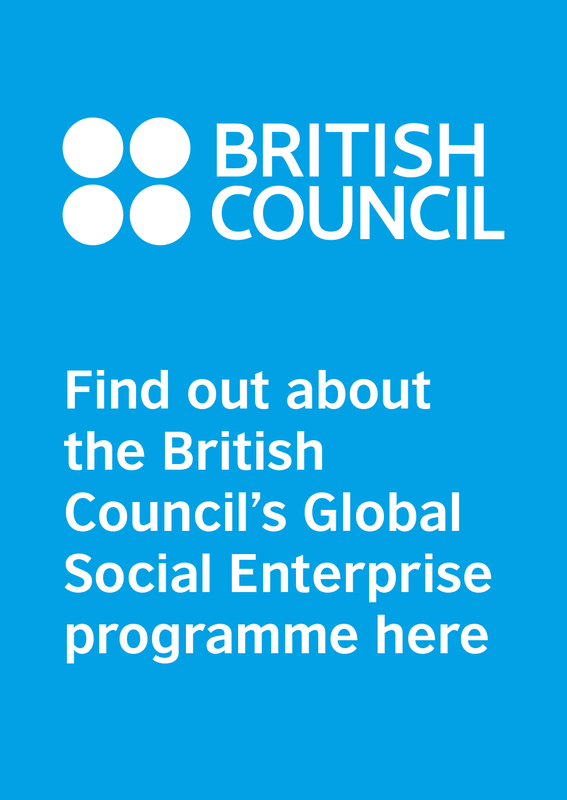 We at the British Council see significant promise in bringing together two interconnected movements: social and creative entrepreneurship. To foster their growth, we are piloting a programme called DICE (Developing Inclusive and Creative Economies) in five emerging economies – Brazil, Egypt, Indonesia, Pakistan and South Africa – and the UK. This short video sets out the rationale for DICE and the opportunity it represents. It is narrated by Dr Mairi Mackay, our director for social and creative economies, and features several DICE programme partners and stakeholders. 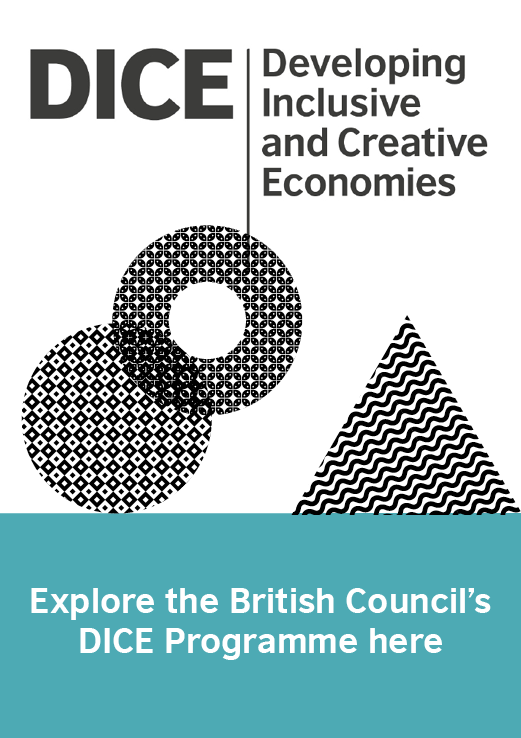 DICE is informed by our experience in delivering our Global Social Enterprise and Creative Economy programmes around the world and draws on the partners, networks and trust the British Council has built over the past 80-plus years. It sits alongside a number of other British Council programmes that support young people and communities to create positive social and environmental change like Active Citizens, which has trained 243,000 people in 68 countries. In the past decade, especially, we have seen that social enterprise and impact investing are unleashing the entrepreneurial spirit of women, youth and members of marginalised communities from Armenia to Vietnam. Meanwhile, creative enterprises are recognised as a source of innovation, economic growth and community empowerment. They are part of a £2,250 billion global market and one of the world’s fastest growing sectors. We think that bringing these dynamic sectors together through DICE can both support the development of grassroots solutions to local issues and help us to think in radical and creative ways about how to solve our massive problems. We hope that the DICE pilot makes a convincing case for this hybrid approach by providing participants with the tools, support networks and narratives to address the challenges they face. If these aspirations are realised, we plan to roll DICE out to other countries in a second phase that will kick off in 2020 – stay tuned! DICE delivers global and in-country initiatives at three levels of the economy – systemic, institutional and individual – in order to support creative and social enterprises. At the systemic level we are holding policy dialogues, conducting research and building international networks to share knowledge and experience and foster a more supportive and equitable environment in which social and creative enterprises can thrive. At the institutional level we are providing grants through a DICE Fund and other forms of support to intermediary organisations in the overseas DICE countries and their partners in the UK. The grants will fund interventions that these partners have co-developed and will co-deliver to support a multiple of social and creative enterprises that empower women and girls, foster youth employment and s upport disabled people and other marginalised groups. At theindividual level we offer business development and leadership training to individual creative and social entrepreneurs, aged 18-30, to improve their knowledge and skills while also helping them to build networks and access support to innovate and/or grow their businesses.